Cruising. There is no doubt cruising isn’t for everyone. But for those who haven’t been aboard a cruise ship, people often wonder what its like or have misperceptions about life onboard. 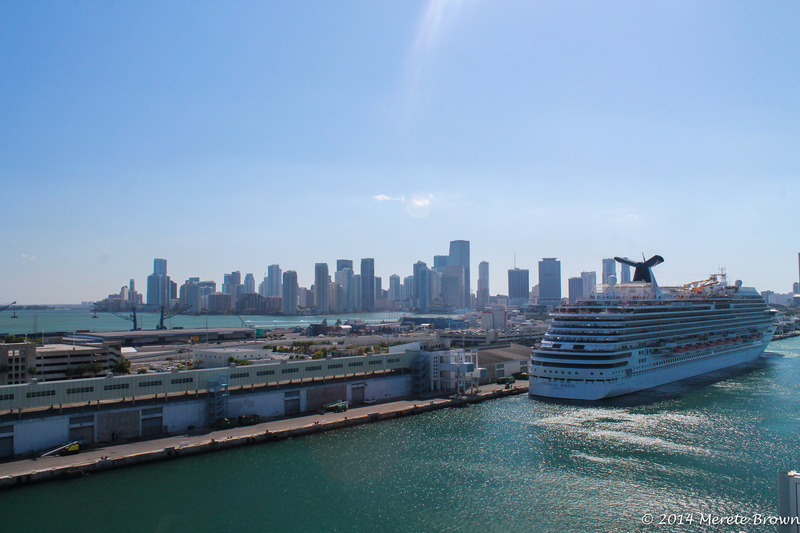 As we set sail for the western Caribbean in May on the Carnival Conquest out of Miami, Florida, I was looking forward to cruising, both for the time on and off the ship. 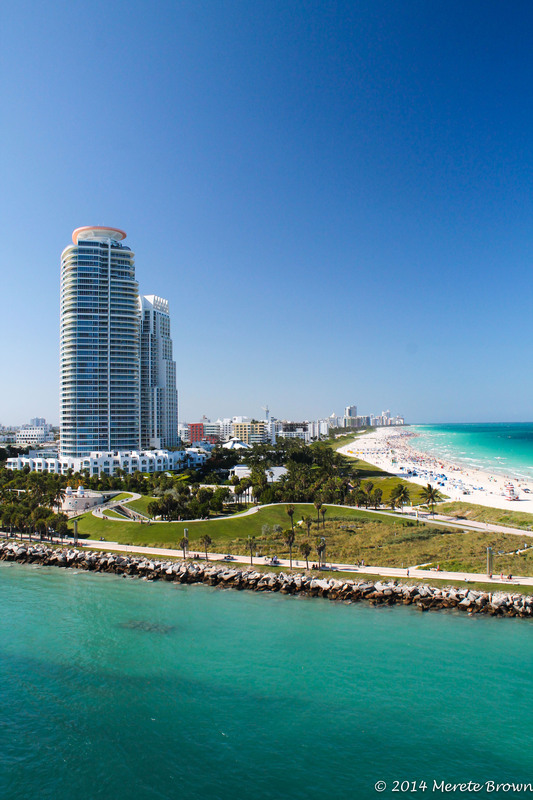 Although cruise ships enviably find new ways to get passengers to spend additional money above and beyond the cost of the cruise, from shopping to gambling to alcoholic drinks onboard, there are many ways to enjoy a cruise without spending another penny. 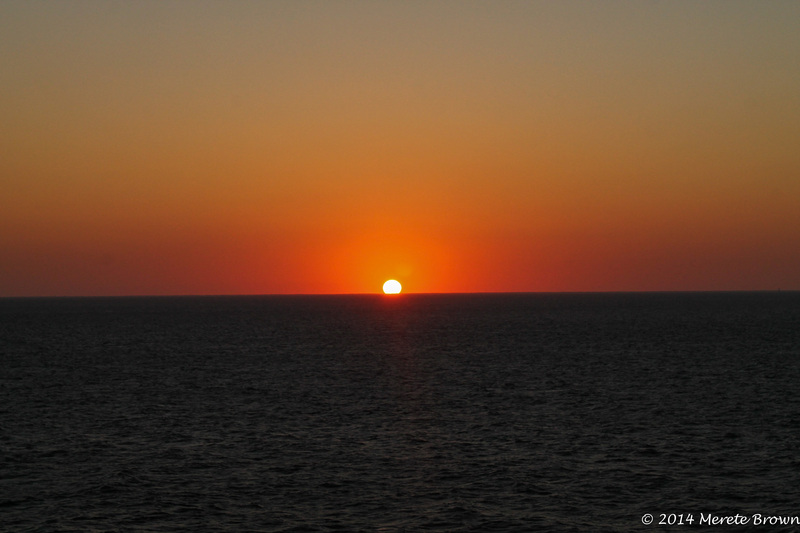 There are many reasons people choose to vacation on a cruise ship, but for me, it’s my love for the ocean. Granted, I probably would never sail across the seas on a smaller vessel, but a floating hotel completely suffices. Still, similar to many other people, I’d rather spend money on land, visiting new countries, then aboard the ship. 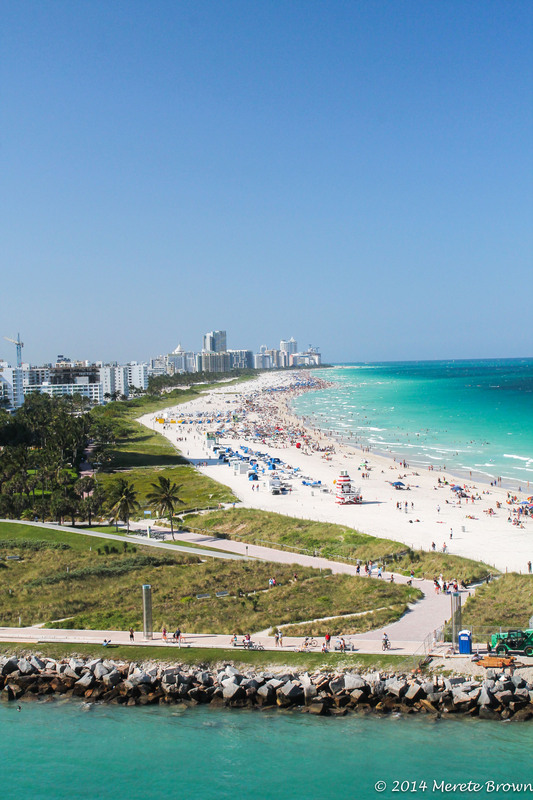 Luckily, if relaxing and taking it easy is what you enjoy most, there are a lot of fun things to do while at sea without forking out another penny. 1. Watch the sun drop to the horizon. 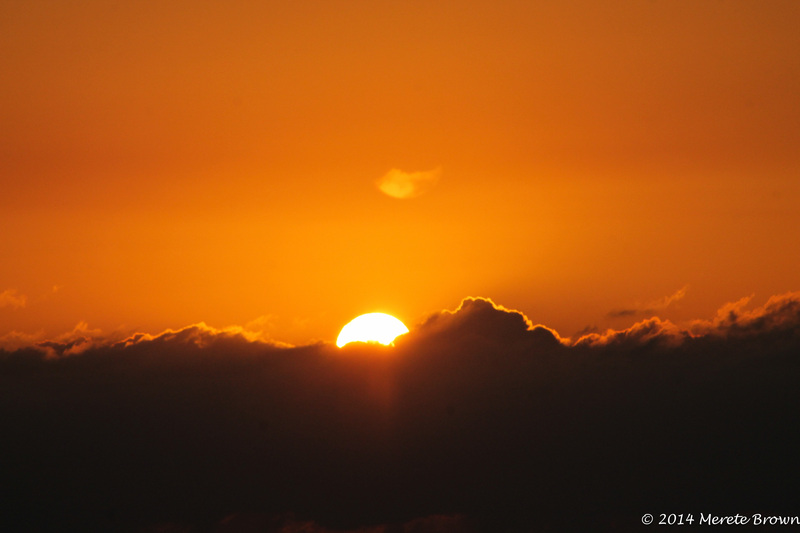 Unless it’s a really cloudy day, it’s fun to watch the sun drop all the way out of sight. It’s a great way to put time in perspective. 2. Catch an outdoor movie on the big screen at night. Usually there’s a least one or two good flicks during the length of the cruise. It’s not too often you can watch a movie under the stars. 3. Attend the Hasbro Game Show. On certain Carnival ships, there are a few nights a week that the cruise puts on a game show with life size Hasbro games. Not only is it entertaining to watch, but you can also try to be a contestant. 5. Then take some time to get a workout in. Nobody really wants to work out on vacation, but it is really amazing how much better you can feel when you exert even a little energy. 6. Dress up and listen to live music or catch a comedy show. This last cruise we went on had multiple good musicians and comedians to entertain passengers into the late hours of the night. 7. 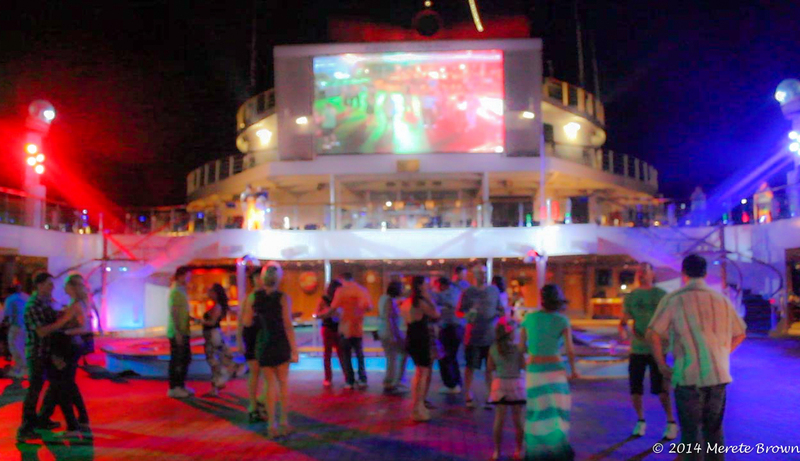 Hit the Lido deck and dance the night away under the stars. There are usually several themed dance parties throughout the week such as Latin inspired and hip hop. 8. 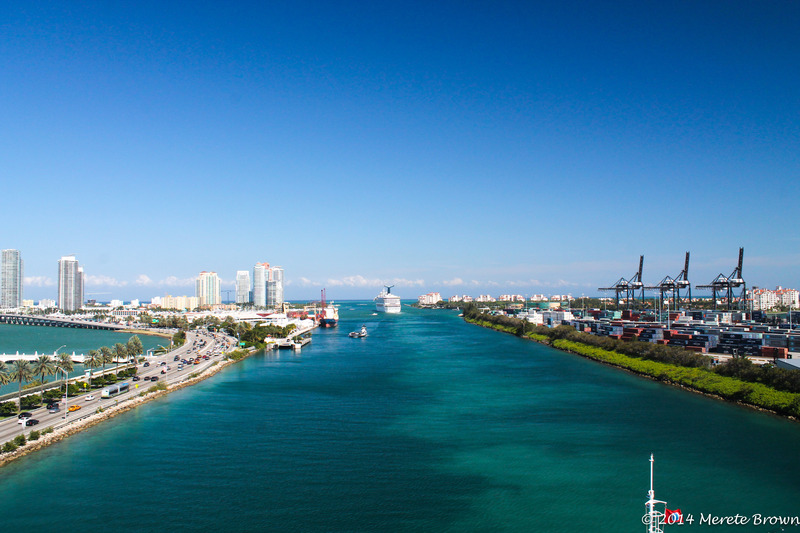 Watch as the cruise ship pulls out of port until land shrinks out of sight. 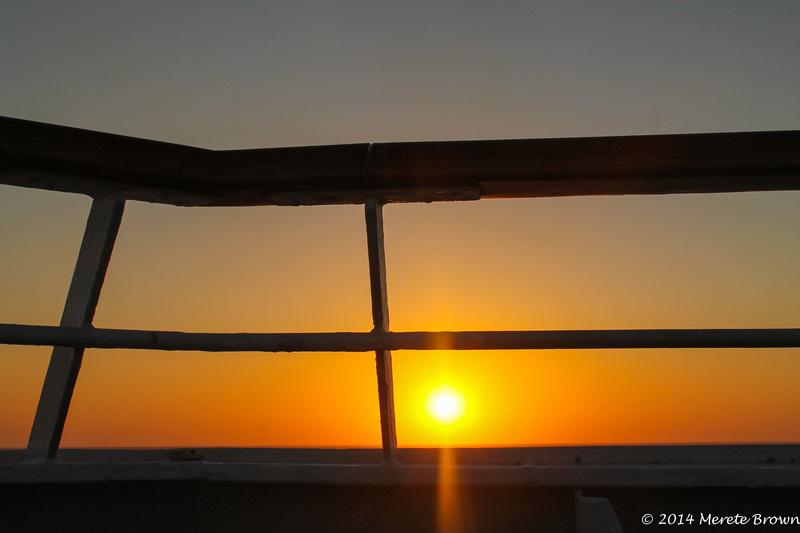 A great part of cruising is pulling out of port each night and appreciating a place from a different vantage point. 9. Play mini golf. Alright, the course isn’t gigantic, but it’s still a fun experience to play on one of the upper decks of the ship while floating at sea. 10. Lounge in the sun. Although I’m not much of a cruise ship pool person (too small of a space for the number of people onboard), it’s nice to lounge in the sun, sit back, read a book or listen to music and watch as the big blue ocean passes on by. Exception: If you absolutely feel a burning sensation in your pocket to spend money while onboard, consider spending a day at the spa getting a massage. Although generally, the prices in the spa onboard a cruise ship are absorbent, once in a while the spa will offer relatively good deals, and at least in regard to the massage services, they have always proved to be good. 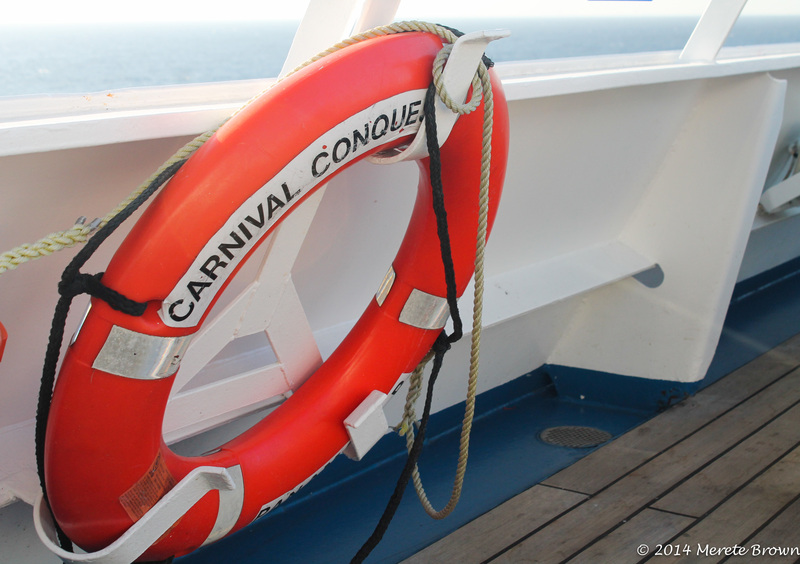 Extra tip for first time cruisers: Carnival allows you to bring a certain volume of drinks onboard, so instead of paying for anything above and beyond water and lemonade, consider carrying some on. 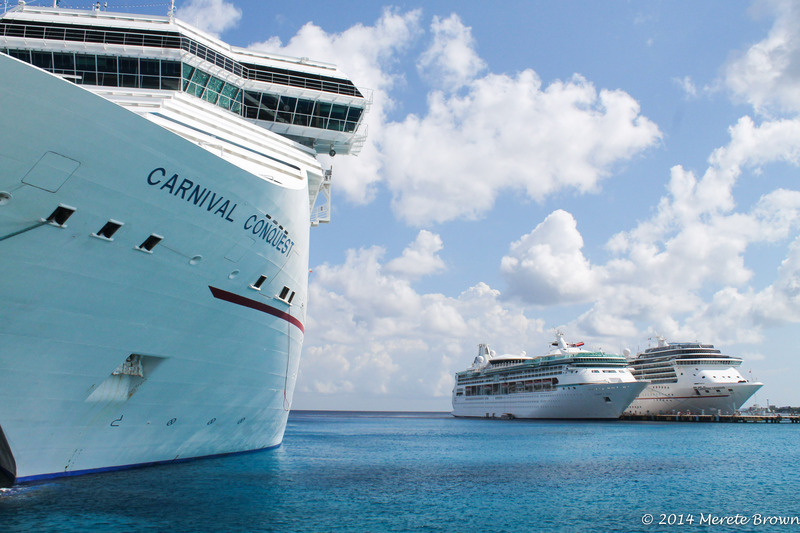 Up Next: First Port of Call – Cozumel!